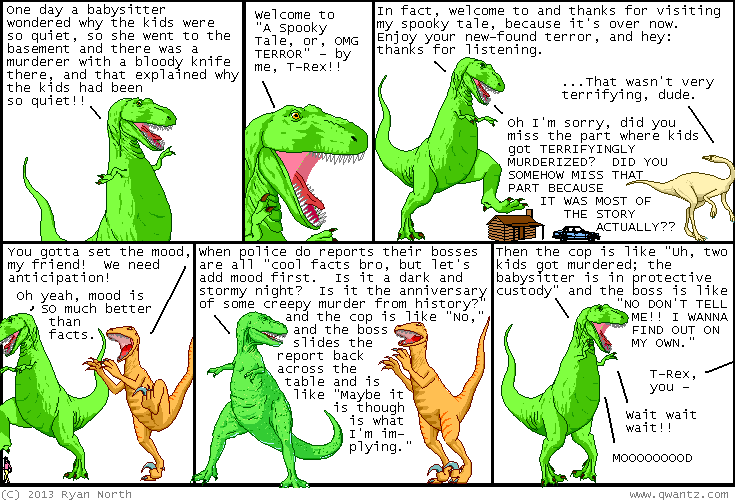 Dinosaur Comics - October 30th, 2013 - awesome fun times! –Our universe is almost certainly a simulation! October 30th, 2013: You guys, I wrote an episode of Bravest Warriors! You should go watch ALL the episodes in preparation for mine because I think you will have a really good time if you do that because it's a good show that I like. The episode isn't up juuust yet but you can watch a preview of it here!